Fluorescent and with vertical and chevroned crossed reflective strips. Two-toned. Breathable, windproof and water-repellent. Fleece on inner side. Fastening with zip and internal storm flap. Chest pockets with zip. Front pockets with zip. Formed cut arms. Velcro fastening at cuffs. Adjustable elastic drawstring at waist. The MASCOT® Safe Workwear Safe workwear for all, one of the largest ranges of high visibility workwear in the industry. Certified workwear to make you stand out. Many products have dirt resistant Teflon finish. 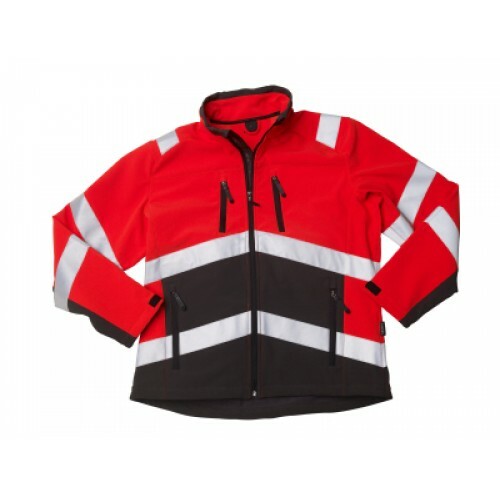 For those who want to be seen Mascot Safe Workwear.